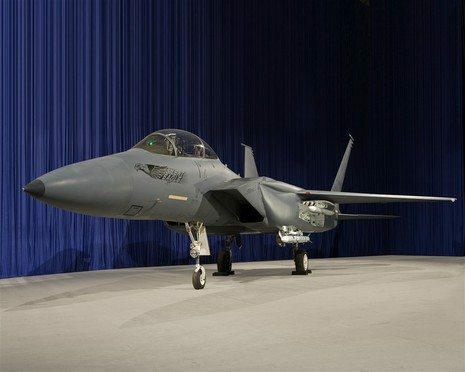 With the “final” bidding for Korea’s next-generation fighter program underway, the procurement price of 8.3 trillion won ($7.5 billion) is taking center stage, which puts Boeing’s F-15 Silent Eagle (SE) in the contender position. 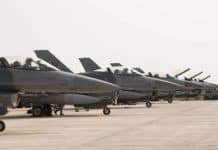 However, military watchers say that a price-focused selection of 60 F-15 SEs may doom the Korean Air force’s goal of boosting its strength due to lesser capabilities than those being hyped. 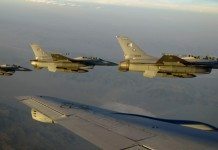 The F-15 is up against Lockheed Martin’s F-35 Lightning II and the European Aeronautic Defense and Space Company’s (EADS) Eurofighter Tranche 3 Typhoon in the Air Force program to buy 60 combat planes to replace its obsolete fleet of F-4s and F-5s. The three-day bidding started Tuesday and is scheduled to last through Friday. 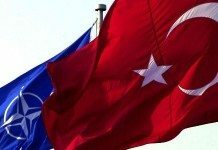 The Defense Acquisition Program Administration (DAPA) carried out a total of 55 bidding sessions for three weeks between June and July, but no offer was within the required budget, with Boeing reportedly being closest to the ceiling price. “Although price accounts for only 15 percent in the selection process, it completely controls the bidding, which makes no sense,” said Shin In-kyun, president of the Korea Defense Network. “The defense industry is concerned that the arms procurement agency may pick the F-15 based on just the price rather than performance and other features. Such a selection can turn out to be a typical waste of money,” said Yang Uk, a senior research fellow at the Korea Defense and Security Forum (KDSF). 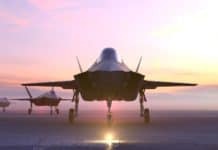 The Air Force is keen to purchase the F-35 to balance military power across the Asia-Pacific region considering its stealth capability. Currently, China is developing stealth fighters and Japan plans to acquire a total of 42 F-35s. In order to catch up with the F-35 stealth jet, the Chicago-based Boeing “conceptually” patched up its F-15 Strike Eagle with a few features for low-observable capability. What it has proposed are conformal weapons bays (CWB), radar-absorbent material and canted vertical tails ― although they still cannot stop critics from casting doubt on the functionality of these. According to DAPA, the introduction of twin vertical tails set outward at 15 degrees requires direct Korean investment. 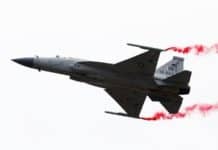 “The Silent Eagle is so named because of its stealth function, but without tilting the vertical tails, the aircraft will not be able to reduce its radar cross section (RCS) from the side,” Shin said. Yang said that introduction of RCS-linked features hurt the F-15K Slam Eagle’s unique selling point ― its large and diverse weapons payload and range. The Slam Eagle is an advanced derivative of the Strike Eagle. “The CWB prevents the Silent Eagle from loading various weapons,” said Yang. 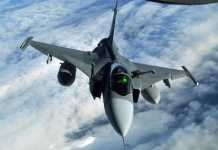 He added that a stealth capability should be designed into an airframe from the very beginning. “With the uncertain features on the line, why do we have to buy the Silent Eagle for 8.3 trillion won,” Yang said.